Mark is a lifelong Georgia resident who has practiced workers' compensation law since 1991. He has devoted his practice to the representation of injured workers and making sure that his clients get all the benefits to which they are entitled under the law. He is on the Board of Directors for the Workers' Compensation Claimant Lawyers Association. 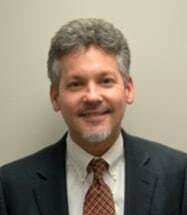 Mark graduated from LaGrange College in 1988 and attended law school at the Walter F. George School of Law at Mercer University.